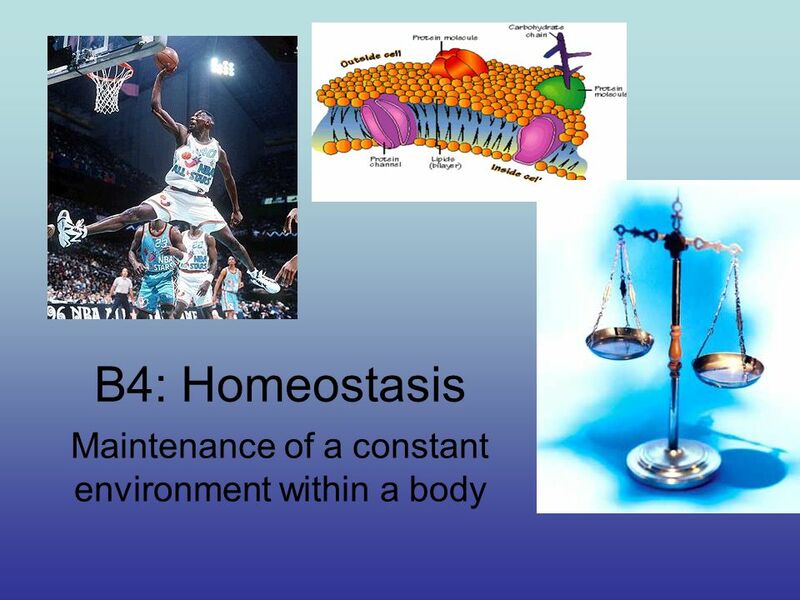 B4: Homeostasis Maintenance of a constant environment within a body. 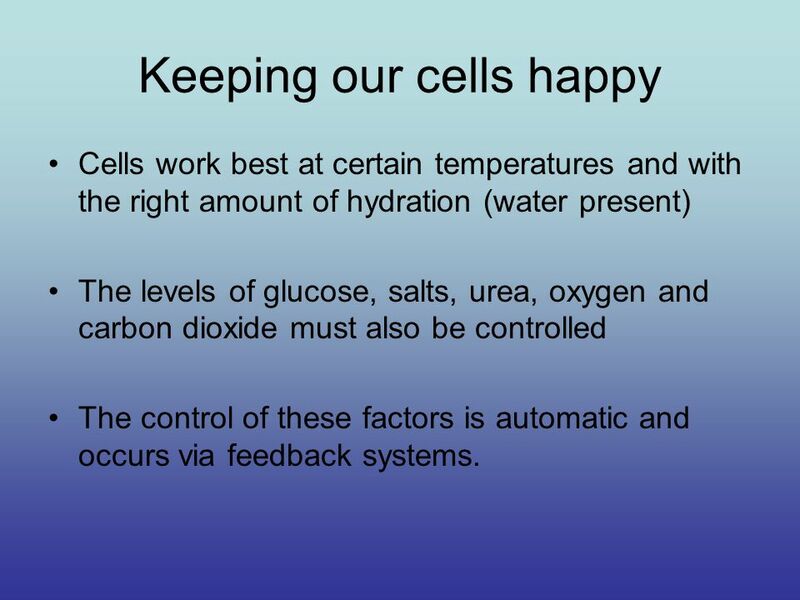 2 Keeping our cells happy Cells work best at certain temperatures and with the right amount of hydration (water present) The levels of glucose, salts, urea, oxygen and carbon dioxide must also be controlled The control of these factors is automatic and occurs via feedback systems. 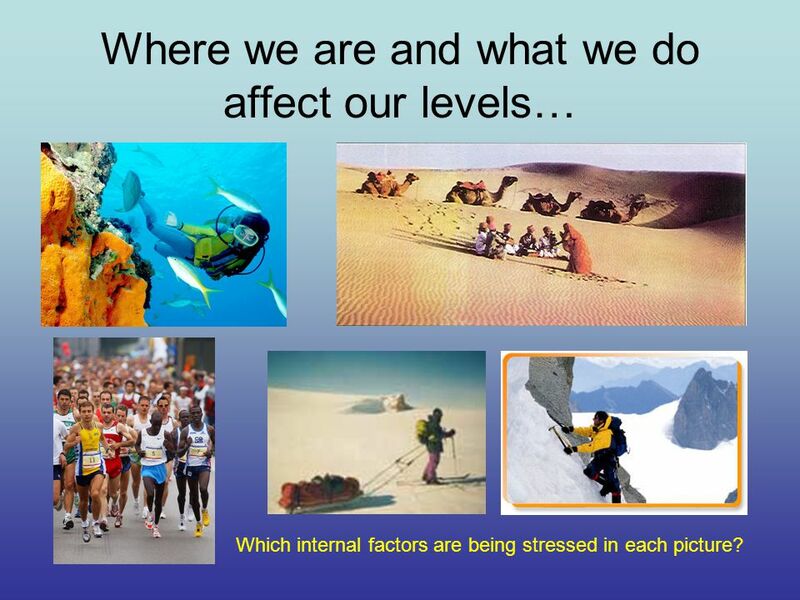 3 Where we are and what we do affect our levels… Which internal factors are being stressed in each picture? 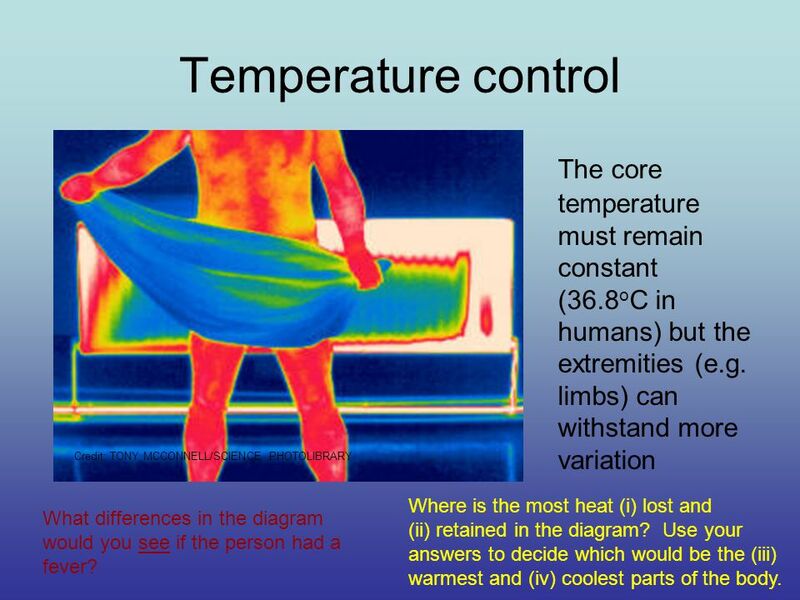 9 Temperature control The core temperature must remain constant (36.8 o C in humans) but the extremities (e.g. limbs) can withstand more variation Credit: TONY MCCONNELL/SCIENCE PHOTOLIBRARY Where is the most heat (i) lost and (ii) retained in the diagram? 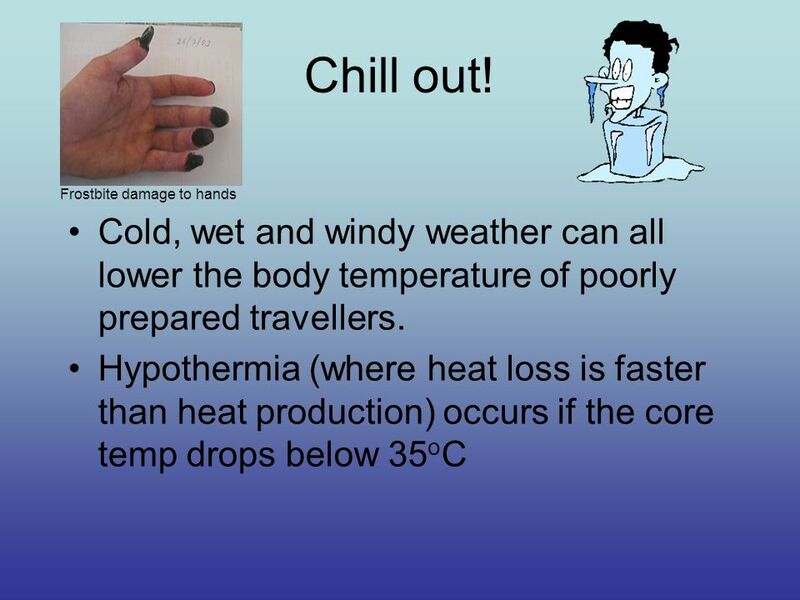 Use your answers to decide which would be the (iii) warmest and (iv) coolest parts of the body. 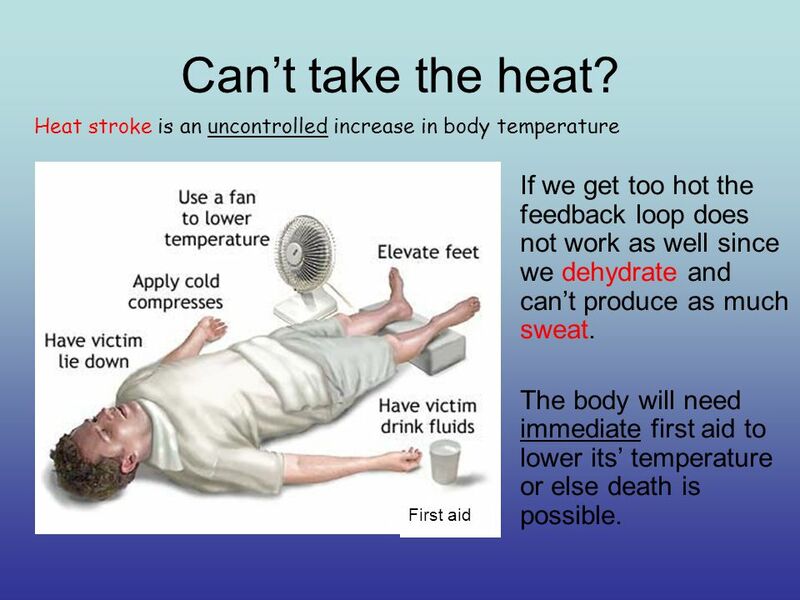 What differences in the diagram would you see if the person had a fever? 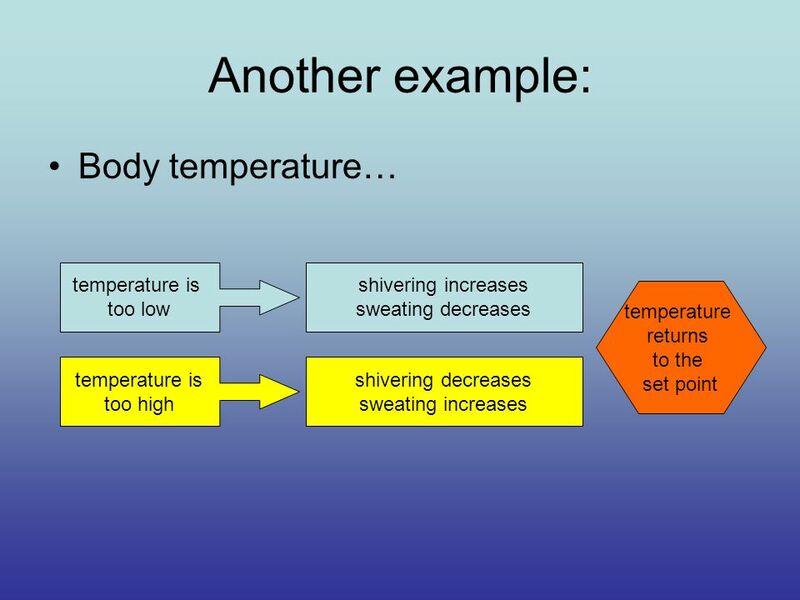 10 How is the body temperature maintained? 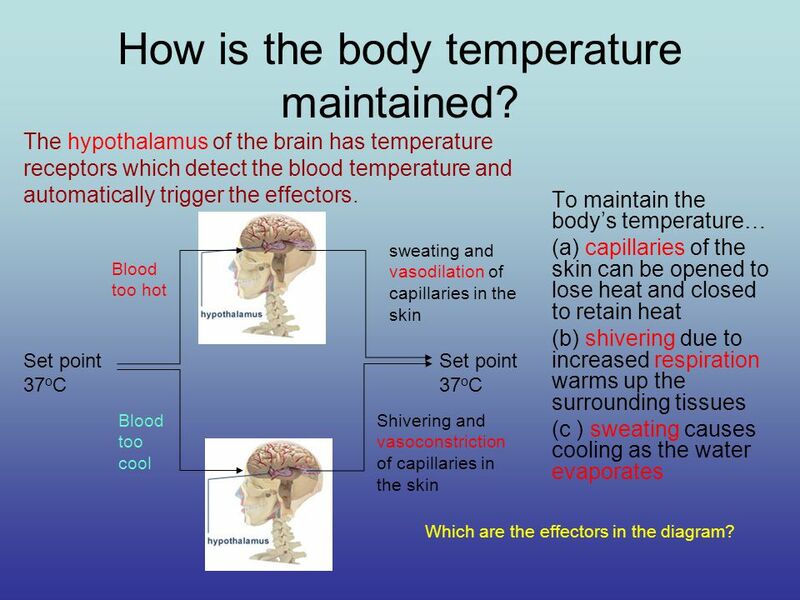 To maintain the body’s temperature… (a) capillaries of the skin can be opened to lose heat and closed to retain heat (b) shivering due to increased respiration warms up the surrounding tissues (c ) sweating causes cooling as the water evaporates Set point 37 o C Set point 37 o C Blood too hot Blood too cool Shivering and vasoconstriction of capillaries in the skin sweating and vasodilation of capillaries in the skin The hypothalamus of the brain has temperature receptors which detect the blood temperature and automatically trigger the effectors. 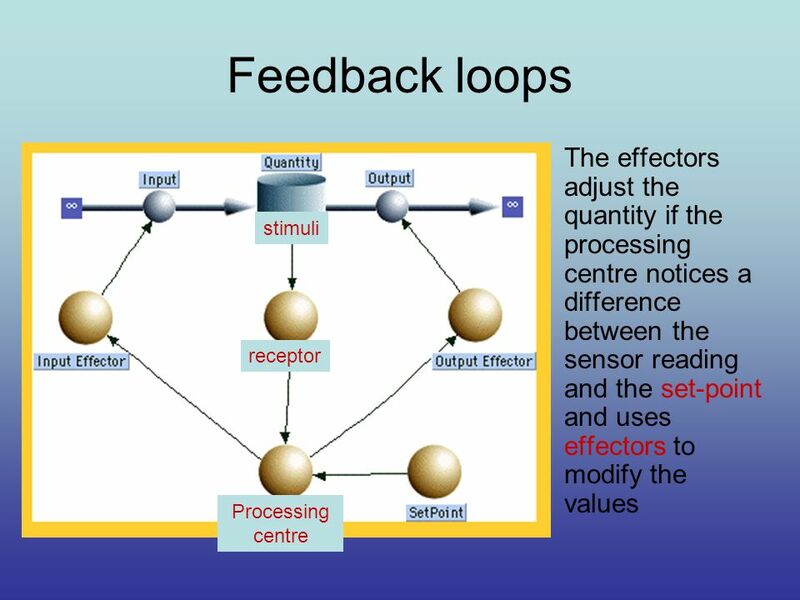 Which are the effectors in the diagram? 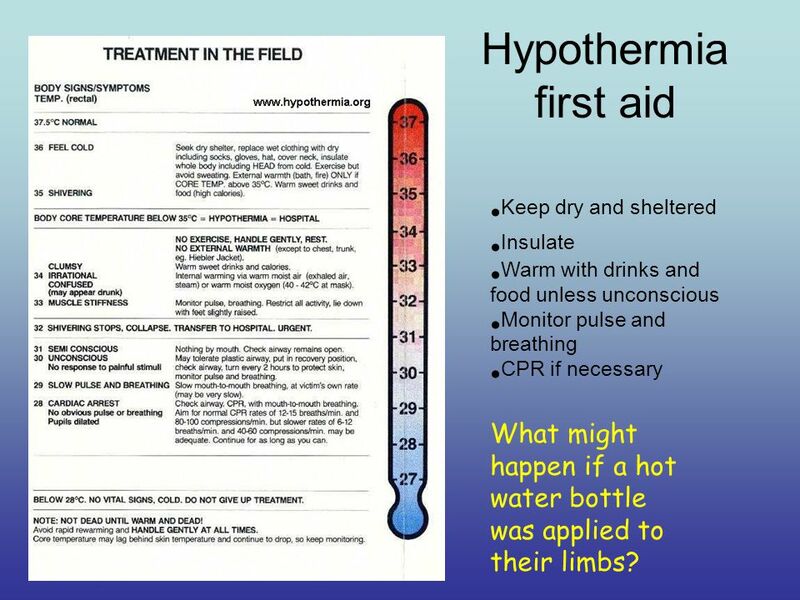 13 Hypothermia first aid Keep dry and sheltered Insulate Warm with drinks and food unless unconscious Monitor pulse and breathing CPR if necessary What might happen if a hot water bottle was applied to their limbs? 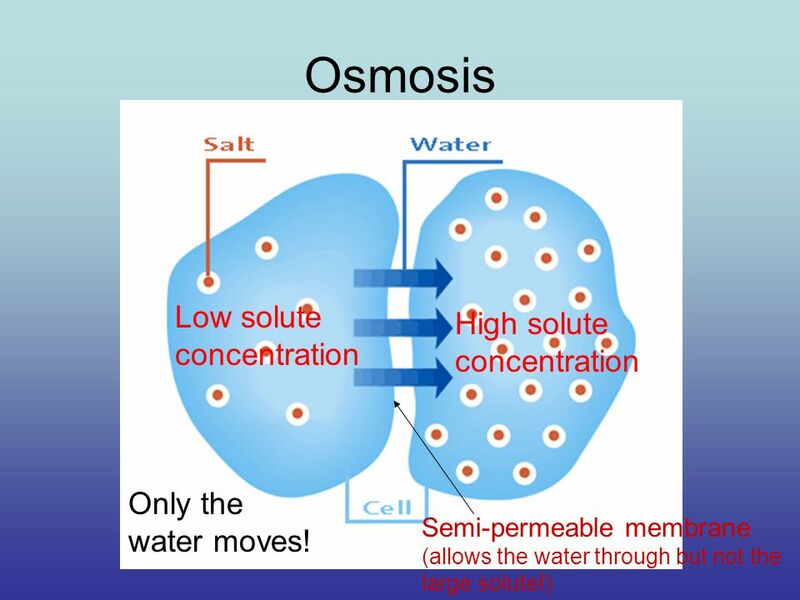 18 Osmosis Semi-permeable membrane (allows the water through but not the large solute!) 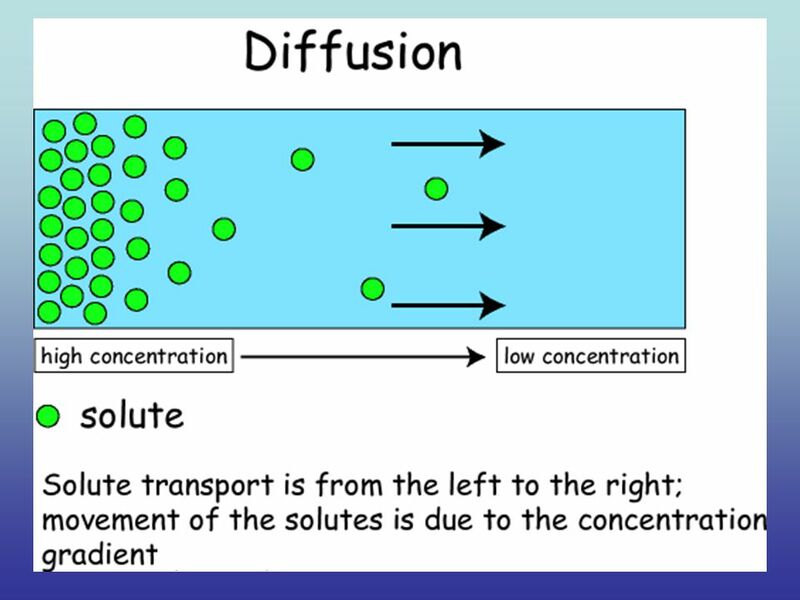 Low solute concentration High solute concentration Only the water moves! 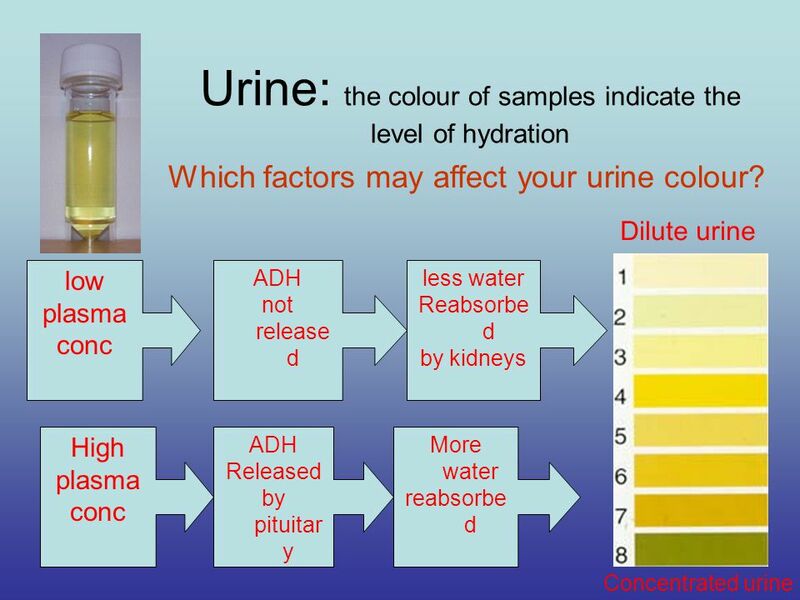 23 Urine: the colour of samples indicate the level of hydration High plasma conc ADH Released by pituitar y More water reabsorbe d low plasma conc ADH not release d less water Reabsorbe d by kidneys Dilute urine Concentrated urine Which factors may affect your urine colour? 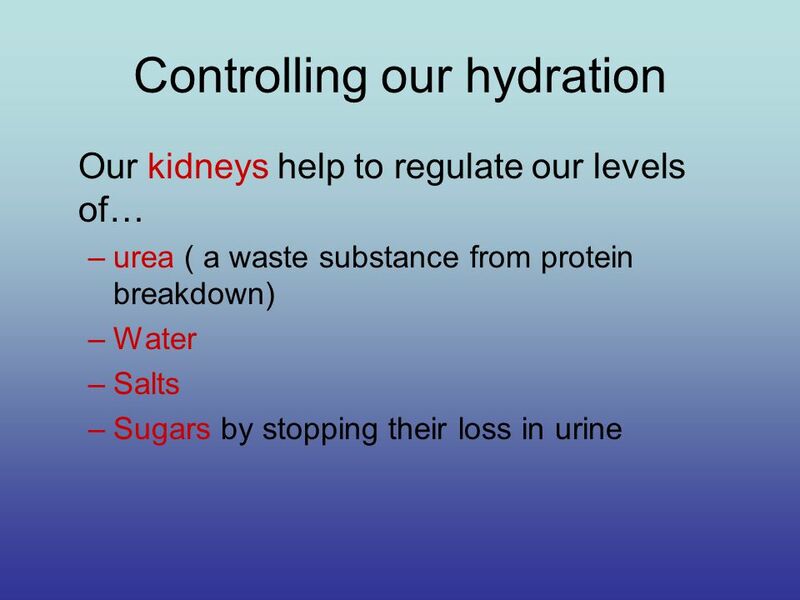 24 Factors affecting hydration levels: External temperature Level of exercise Water intake Salt intake Drug taking… –Alcohol suppresses ADH so more dilute urine is formed dehydrating the body How might hangovers be explained? 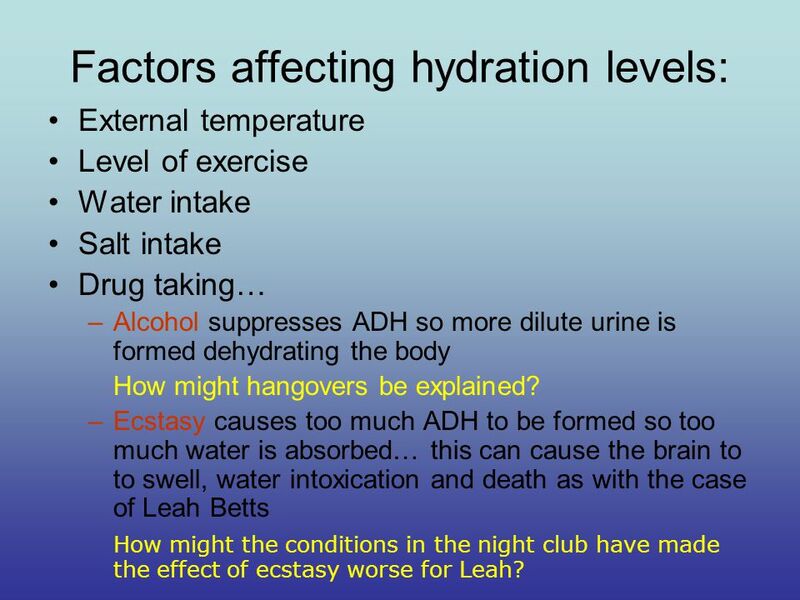 –Ecstasy causes too much ADH to be formed so too much water is absorbed… this can cause the brain to to swell, water intoxication and death as with the case of Leah Betts How might the conditions in the night club have made the effect of ecstasy worse for Leah? 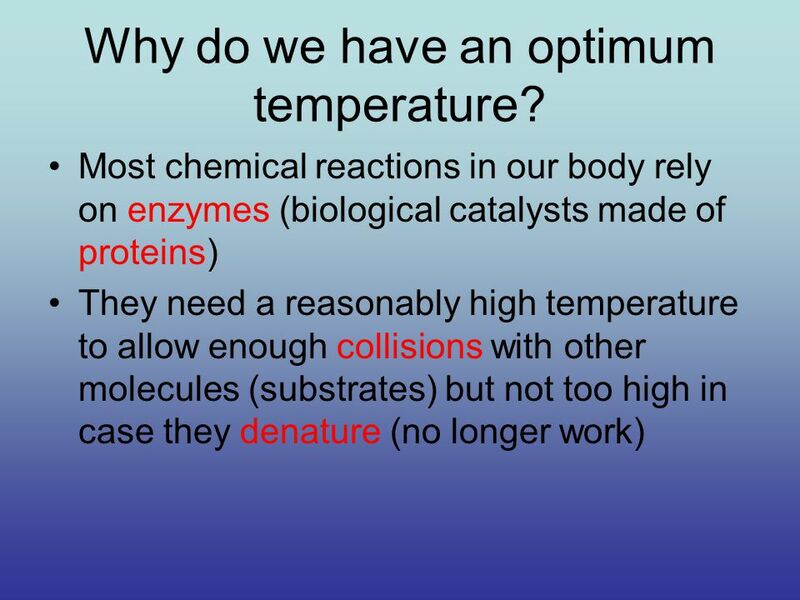 Download ppt "B4: Homeostasis Maintenance of a constant environment within a body." 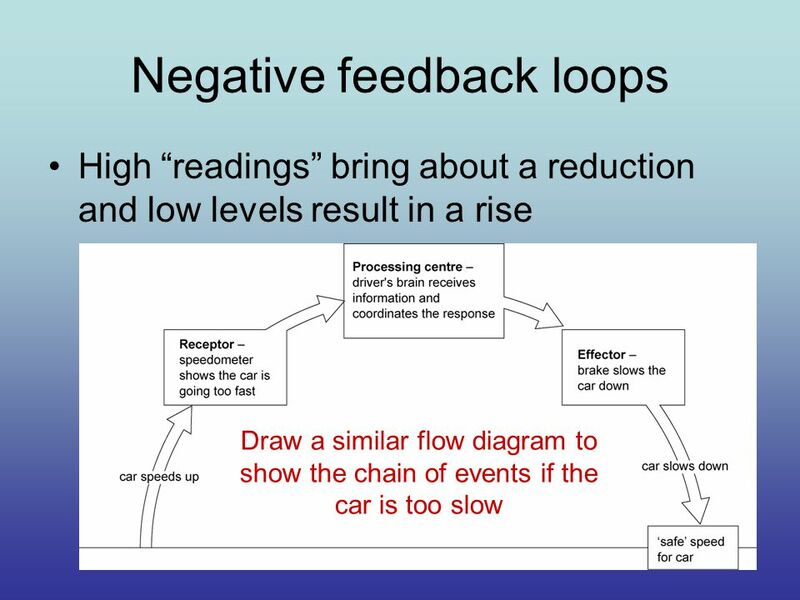 Feedback Mechanisms Response to Environmental Changes. 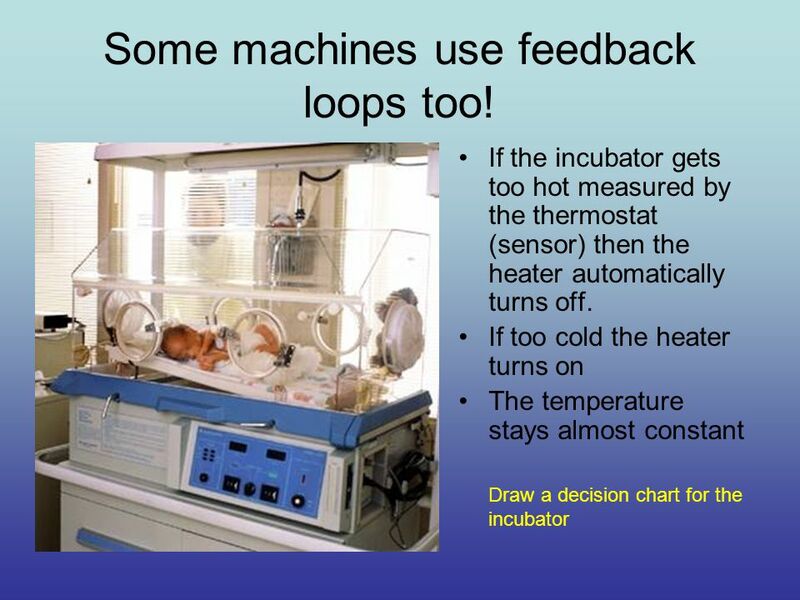 B4 - Homeostasis What you should know…..
AQA B3 Topic 3 Homeostasis. Animal Survival Water and Waste. 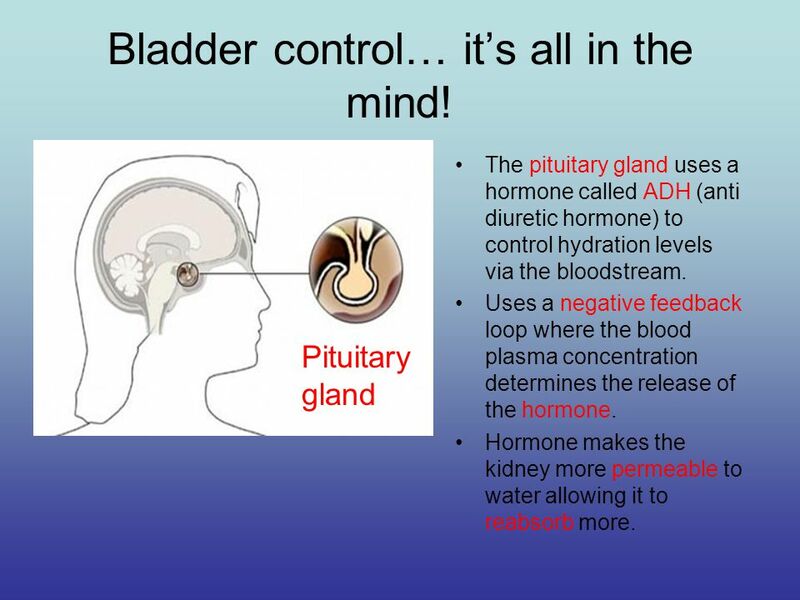 6.5 – PART II Endocrine system and homeostasis. 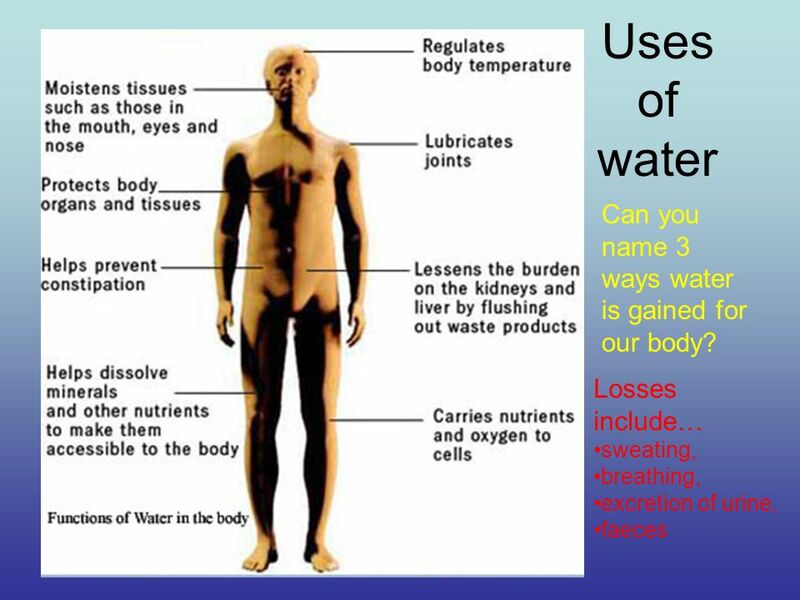 Homeostasis review Blood pH CO2 concentration Blood glucose concentration Body temperature Water balance. Revision of controlling conditions. 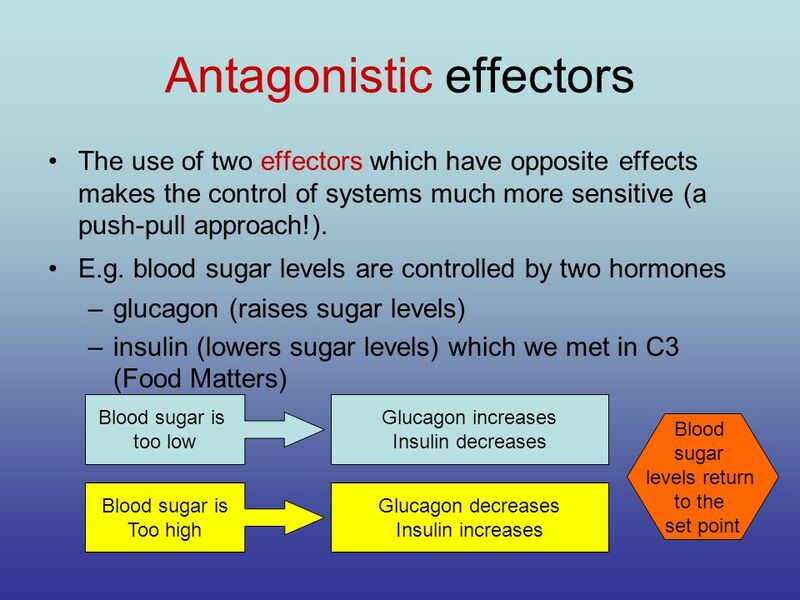 Controlling conditions 1.The conditions inside your body are known as its i…………. e………………. 2.Your body has to keep. 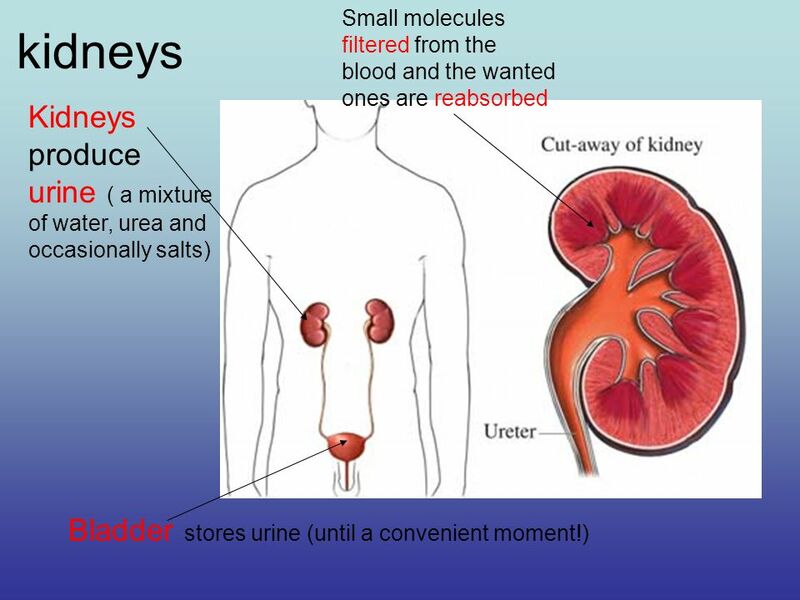 Normal diet Drunk plenty of water Has been exercising but not drunk anything Who’s urine? MATCH UP! Physiological Homeostasis Chapter 33. Internal Environment  Millions of cells in a body make up a community  Different parts of the body dependent on. 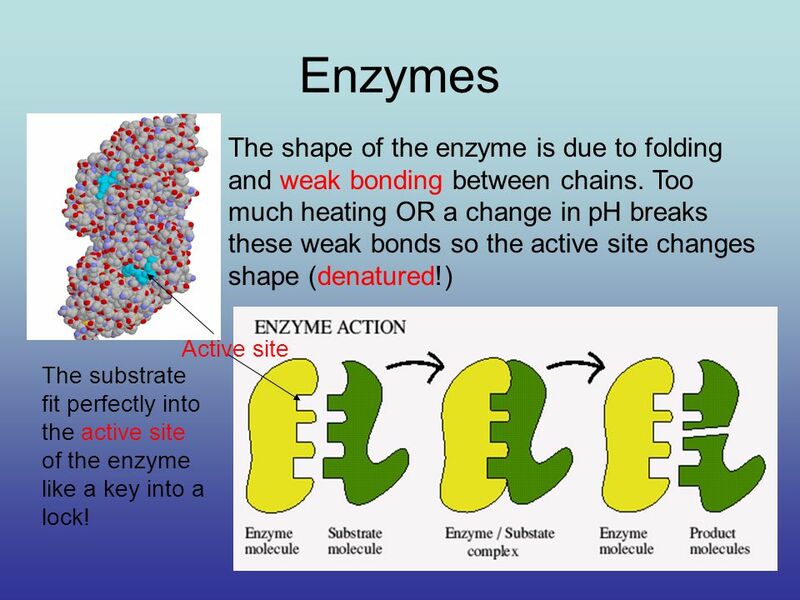 Keystone Anchor BIO.A.4.2 Explain mechanisms that permit organisms to maintain biological balance between their internal and external environments. Requirements Alcohol thermometers Strip thermometers Infrared thermometer. Homeostasis 1.Maintain – keep up. 2.Constant – the same. 3.Internal – inside the body. 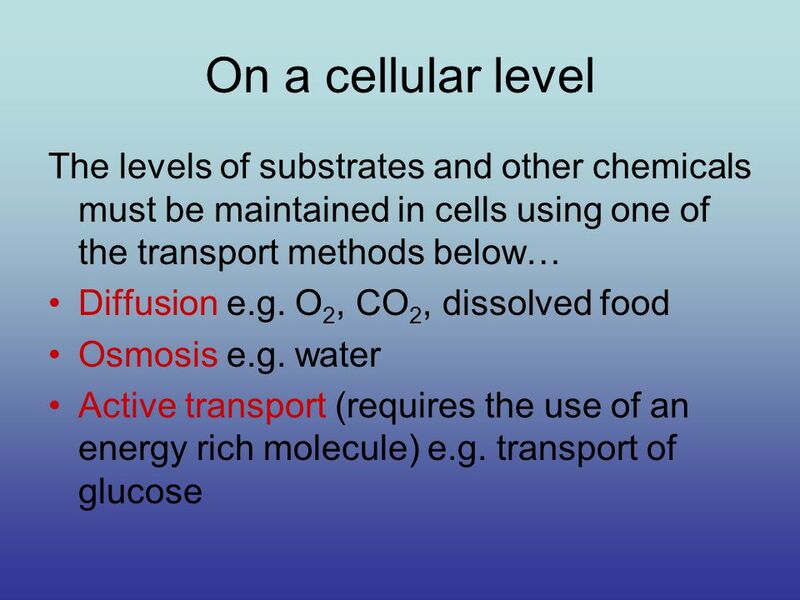 4.Environment – surroundings of the body.